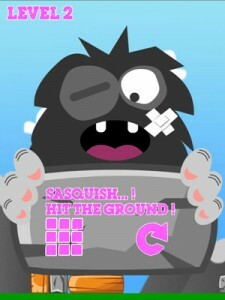 Sasquash based on the classic Totem Destroyer game has now been developed as a HTML5 Phaser game template, which also includes a level editor; so that you can create your own mind numbing levels. 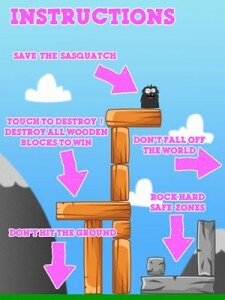 Destroy all the wooden blocks without the Sasquatch hitting the ground or falling off the world. 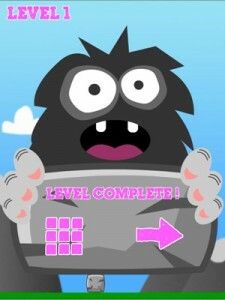 There are 25 levels for you to complete and then edit and complete again and again! 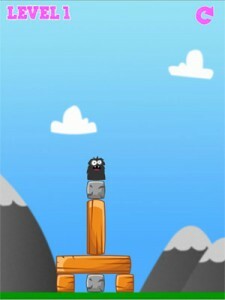 This entry was posted in ANDROID, Android Games, EDUCATIONAL GAME, Game Template, HTML5, HTML5 Games, iPad Games, iPhone Games, PHASER. Bookmark the permalink.